I am not a football fan per se, as I referenced in my last post, but the Seattle Seahawks Super Bowl victory last Sunday and the legacy they are leaving, warrants another post. 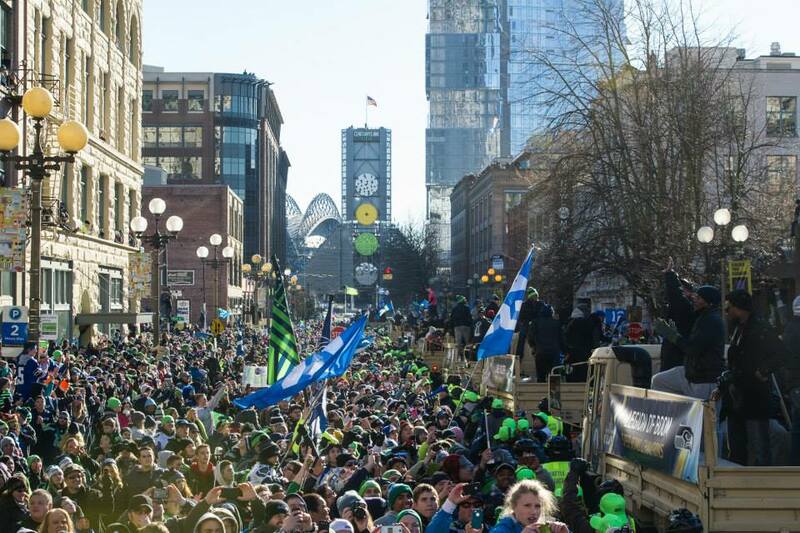 Ever since that victory, our city (Seattle) has been going crazy, crazier than before. No one could possibly predict that the Seahawks would dominate the Broncos with what appeared to be such ease, by outscoring them 43-8. For Seahawks fans, it was the icing on the cake, as it helped to erase the wounds from our first and last Super Bowl appearance in 2006, when so many Seattleites still believe they (we) were robbed of a Championship title due to poor officiating. How does a team like this command such attention and respect from the community? How does it garner so much support from their fans? It is because the Seahawks have cultivated a relationship with their fans and given them first class status by virtually putting them right on the field with the players. They are The 12th Man! Certainly you’ve heard about The 12th Man. It is the collective name given to Seahawks fans. Opposing teams dread playing against the Seahawks at our Century Link home field because we hold the Guinness World Record for crowd noise, a mere 137.6 decibels. I’m not as crazy as most fans. On the day of the victory parade, I chose to watch from the comfort of my home instead of standing outside in subfreezing temperatures for hours. One friend who attended shared her thoughts with me: “I observed how nice people are to each other if they have one thing in common – Seahawks. It’s really touching seeing the emotions going around. It was awesome and thanks to the Seahawks for getting families and communities together.” Well said. Putting all of the hype and hysteria aside, there are some real lessons to be learned by watching the Seattle Seahawks this season, or merely by watching the Super Bowl. I’m not talking about football lessons and strategies specifically. I am talking about lessons that can be applied in life. By now, you heard this phrase repeated all over the media. When Russell Wilson, Seahawks 25-year-old starting quarterback, was interviewed in pre-game and post-game shows, he repeatedly shared the philosophy handed down to him by his father, “Why not you, Russell?” At 5’11” he was an unlikely professional prospect, but his father instilled a positive influence and confidence in Russell from an early age. Russell shared that with his teammates throughout the season. It permeated the culture of the Seahawks. The Seahawks have fostered an environment of loud and proud fans with the honoring of The 12th Man by hoisting the logo ‘12’ flag at each home game. This prominent display acknowledges the role the Seahawks fans contribute to a positive home game advantage. The fans and players are united and bonded with a winning focus for each game—at home or elsewhere. 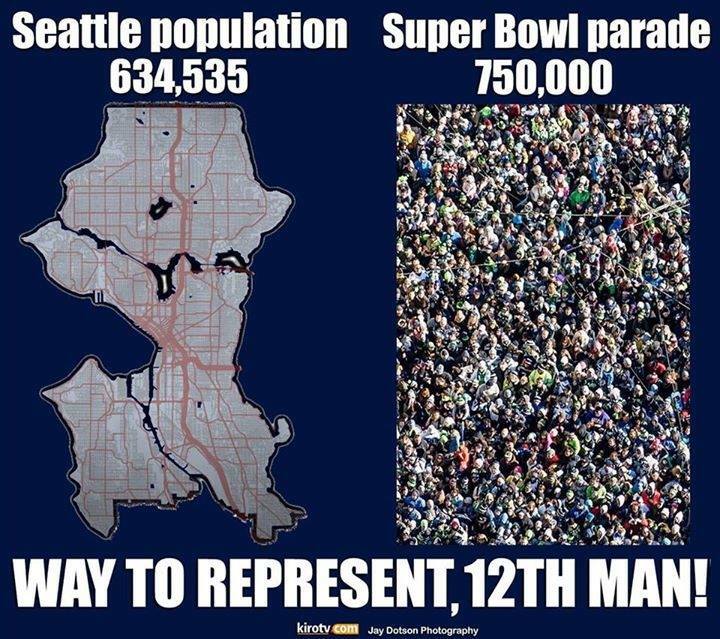 The 12th Man was a relevant factor in the Super Bowl, with fans not only from Seattle supporting the Seahawks, but also residents from the New York and New Jersey areas where the game was played. The Seahawks players modeled a team approach to winning. Each game was viewed as a championship game. The players were a collective force to be reckoned with—one game at a time. In most of the interviews I viewed or articles I read it was pretty obvious that there were no egos behind the scenes or individual attempts to steal the limelight. They led with positivity and humility. 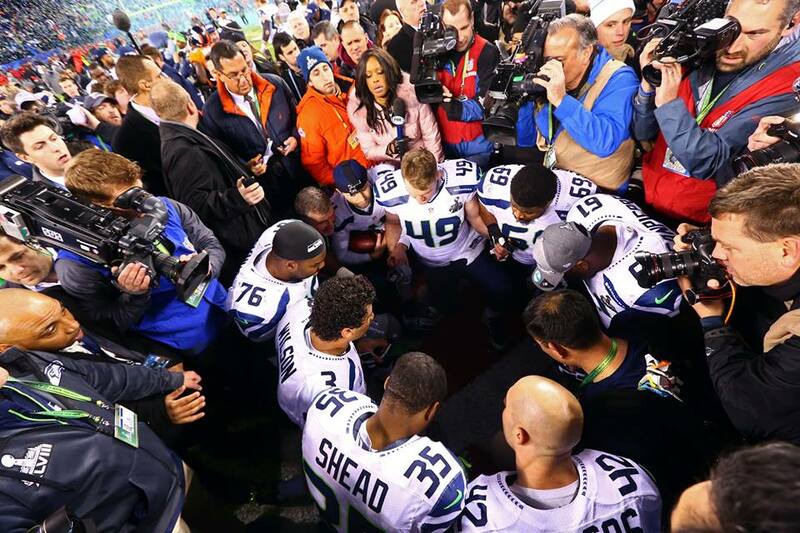 The Seahawks were not only grateful to their 12th Man contingent, they were also grateful to God. Russell Wilson (and other Seahawks) have made their faith evident in some very powerful youtube videos. He has openly expressed how he is using the talent God has given him and encourages the same in others. His first televised words after the Super Bowl were: “It’s a true, true a blessing. God is so good.” His gratitude runs beyond his faith though as he also gives back with weekly visits to Seattle’s Children’s Hospital. When we embrace these positive characteristics and attitude, we can influence our world and our lives for good. And like the Seahawks and their 12th Man tribe, we all need a support team around us to encourage us, build us up when we fall, and keep our focus on our goals for success. Congratulations to the 2014 NFL World Champion Seahawks, and thanks indeed for bringing unity in our community. *No offense to Peyton Manning, the Broncos team, or their run for the Championship title. They may have modeled or exuded some of these same winning characteristics. 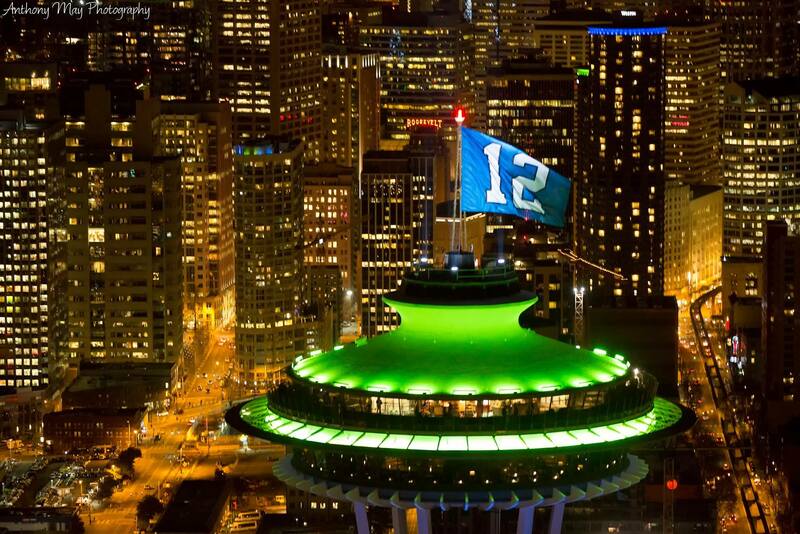 But for now, let’s just allow the Seahawks and Seattle to bask in the limelight and the thrill of victory.